O P E R A T I O N O U S T : Nominate SHEIK! Oh crap, it was a fake! Excited to see which new fighters get announced in the fighter pass that Sheik'll be stronger than. Oh wait, you're talking contest strength, not smash strength. Smash strength too, but yes, contest strength first. A rally? I like a rally. I like a rally too -- thank you for joining the cause! With Smash Bros more or less treating Zelda and Sheik as separate characters permanently now, are they both eligible? Keep in mind we haven't polled the board yet since making our case here -- as I mentioned near the beginning of the topic, we intended to make our case and then get a voice for where the board was at before submitting to SBAllen. I'll get to work on that so SB has Board 8's vibe better understood on whether both Zelda and Sheik should be allowed or if only the one with more nominations should be allowed. Poll about how you feel about Sheik's eligibility. Sheik should be banned, even if she gets enough nominations AND out-nominates Zelda.31.25% (30 votes)"
The board is largely on our side -- less than a third of the board completely opposes Sheik, and for awhile our top option had over 50%. Thank you Operation Oust for making this change of tide in the conversation happen. I really don't think this kind of result happens without our rally making an impact, so good job everybody. 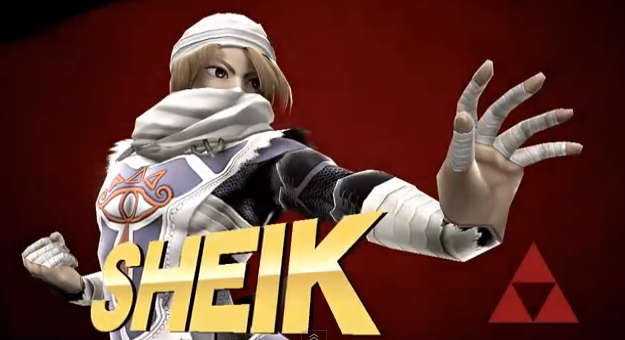 We're still taking sign-ups for pledges, in case you're wondering how we can get Sheik in!